I initially thought we would go to my mom’s house for Memorial Day weekend, but she told me toward the end of last week that she wasn’t sure if they would have the pool ready in time. I had a lot to do on Saturday and wanted to keep this weekend as low key as possible, I opted to just hang out at the apartment complex pool. But that wasn’t before I began thinking of different recipes I could bring to my mom’s house that I could eat. I know there would be sugar and carbs there to tempt me and I wanted to counteract that as best I could. 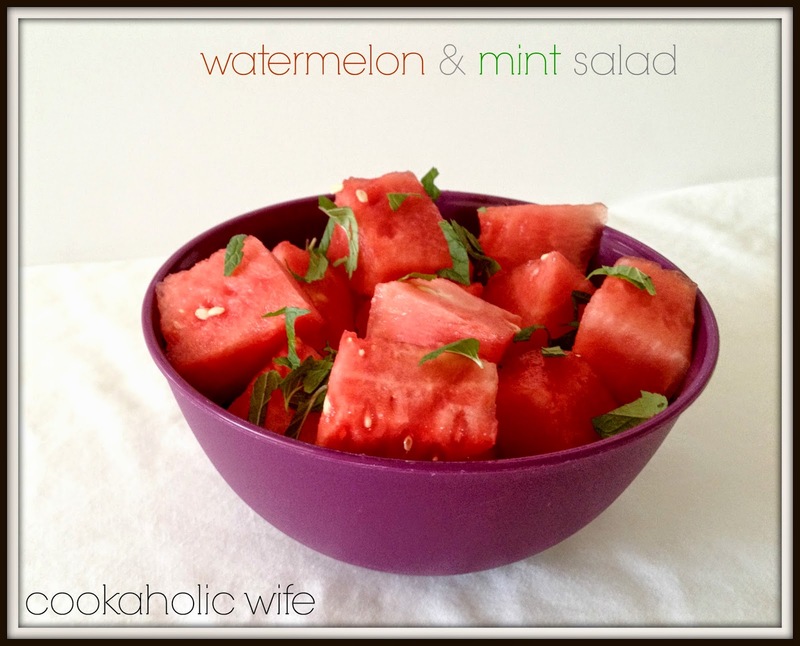 One thing that will always be synonymous with holiday weekends at the pool is watermelon. 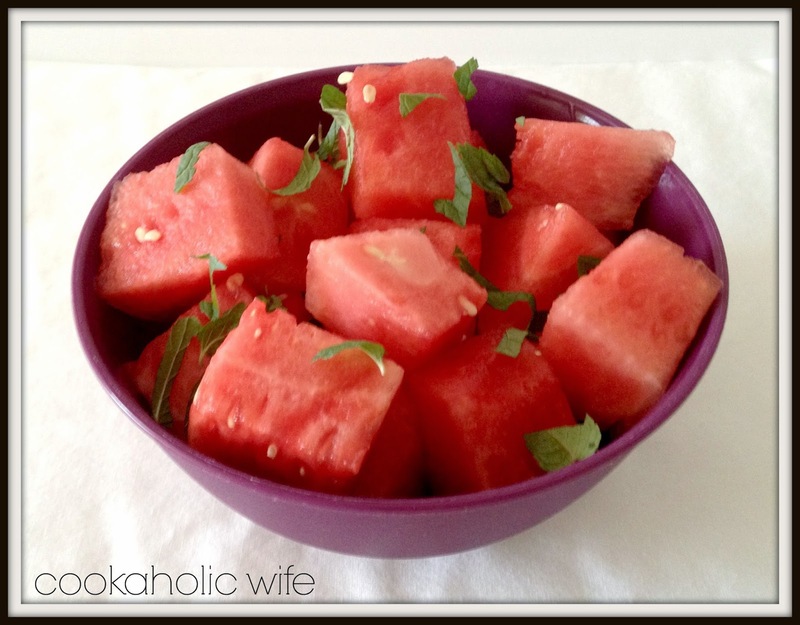 I could easily eat an entire seedless watermelon by myself. (I have a thing for fruit, if you hadn’t noticed.) I also have a mint plant growing out of control in my sunroom. Seriously, I pluck off the leaves and the next day they are back again. I could make a lot of mojitos with all the mint we have! 1. Toss all of the ingredients together in a large bowl. Keep chilled.